The 75th annual Texas Rose Festival will take place Thursday October 16th through Sunday October 19th, 2008 in Tyler, Texas. Known as the Rose Capital of the World Tyler Texas is home to the Tyler Municipal Rose Garden, 35,000 bushes with more than 500 varieties of roses growing on 14 acres. One acre contains the Heritage Rose and Sensory Garden with over 30 varieties of roses some dating from before the Civil War. The Texas Rose Festival officially opens at 10:00AM Thursday the 16th of October with a ribbon cutting ceremony by Rose Queen Sarah Elizabeth Clyde. Festivities continue each day from 10:00AM-6:00PM with art and crafts shows, floral displays, and special events such as the Queen’s Tea on Friday the 17th of October from 3:ooPM-5:ooPM when the Queen will be in the Rose Garden in full costume greeting visitors who may stroll through the gardens with their free refreshment. The Queen’s Coronation, an impressive theatrical style event takes place on Thursday the 16th of October at 130PM (all tickets are $21.50), on Thursday the 16th of October at 7:30PM (ticket prices range from $31.50-46.50) and on Friday evening the 17th of October (ticket prices range from $26.50-46.50). If you miss the coronation you may view it free on video Saturday the 18th of October from 9:ooAM-6:00PM at the Rose Garden Center. 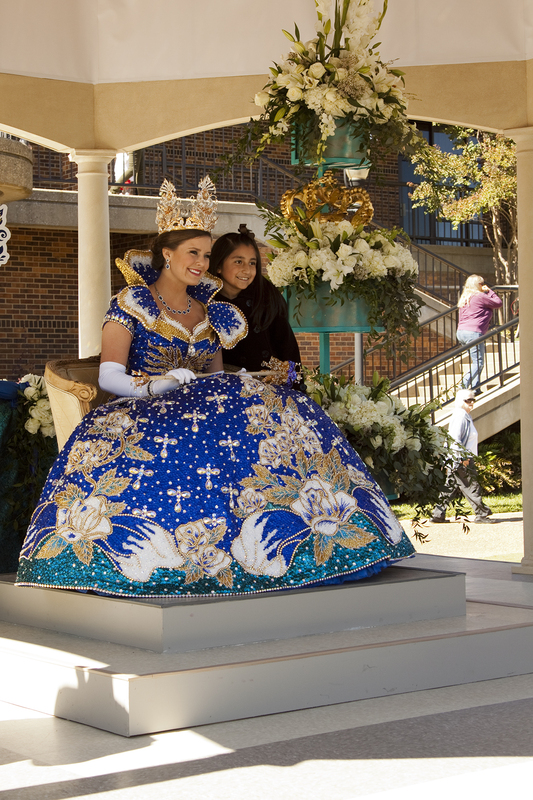 The spectacular Rose Parade takes place on Saturday morning the 19th of October at 9:30AM. Preferred seating on the west side of the Trinity Mother Frances Rose Stadium ranges from $5-$10. Seasting on the east side of the stadium is free. The Tyler Rose Museum showcasing the history of the rose festival and the rose industry will be open. Admission is $3.50 for adults and $2.50 for children ages 3-11. Note: Over one half of all commercial rose bushes marketed annually in the United State are shipped from Smith County and the Tyler Texas area. This entry was posted in Texas, Texas Events and tagged Rose Capital of the World, Rose Parade, Rose Queen Coronation, Texas Rose Festival 2008, Tyler Rose Museum, Tyler Texas Municipal Rose Garden. Bookmark the permalink.